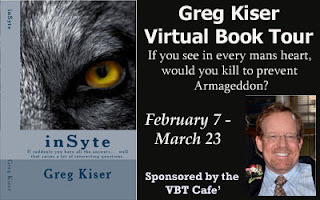 Greg Kiser`s inSyte is an engaging novel with an intriguing premise that stumbles a bit in its narrative execution, but which still provides for an entertaining read. The story starts out as a straightforward military thriller, with a pair of Navy SEALS pinned down by enemy fire, outnumbered, and cut off from any hope of rescue. After a brief lull, the story takes an interesting twist into the paranormal, with one of those SEALS discovering the secret of mentally tapping into the limitless knowledge of the internet. It`s through that forbidden knowledge that Mitch discovers a “divine” plan that will result in the deaths of millions . 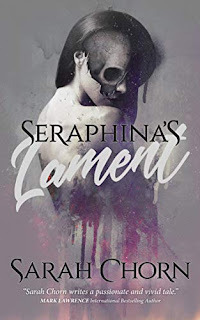 . . a plan that he can prevent, but only if he kills the father of the woman he loves. 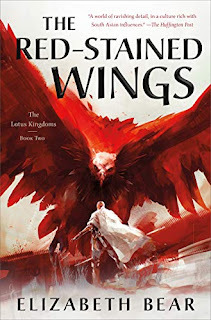 Mitch is a solid, if unremarkable hero, who is strong enough to engage the reader, but lacks that something extra that would allow him to carry the novel singlehandedly. Fortunately, we have a suave, sophisticated, amoral villain in Cheslov, the hitman turned serial killer. He`s entirely calm and accepting of his profession, with no moral or intellectual qualms, but also none of the maniacal insanity we`ve come to expect in these characters. These two play well off another, leading to a finale that`s as exciting as it is satisfying, and even if the final scene was something I completely anticipated, it still worked. 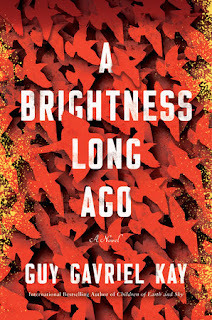 Like I said, the novel does stumble a bit in its narration, with a detached third-person narrator who exposes us to the characters` thoughts, often in a disjointed, almost random, stream-of-consciousness manner. It catapulted me out of the story a few times, leaving me confused as to who was doing or thinking what, but I did find you eventually make an uneasy peace with the style. Otherwise, it is an fast-paced, exciting read, one that`s full of big ideas and which provides a tantalizing glimpse into the future. There`s an interesting world here, full of possibilities, and since there does seem to be a door left open for a sequel, I really hope Greg allows us to explore more of that world. Greg Kiser is happily married to a wonderful and inspirational wife, Serena, and has two beautiful children – Miller and Grace. Greg graduated from Southern Polytechnic University in Atlanta with a BS in Electrical Engineering. Greg also earned his MBA from the University of South Florida. He is currently a Director at Cisco, a high tech fortune 50 multinational corporation. Greg has written extensively for fortune 50 high tech firms in describing next generation networks and painting pictures of the true evolution of technology for the consumer. I won this one a while back and really must get to it.